International Law Office was founded in 1995 in Phuket, and was incorporated as a limited liability company under the laws of Thailand. The founders were Khun Nakin Themrat LL.B., Barrister at Law, Mr. Bernd W. Hentschel and Mr. Friedrich Fauma. In 2001 a new Head Office in Phuket Town was established. In 2004 Mr. Nakin Themrat a founder and Thai solicitor died and K. Adisorn Janta took the position as Senior Litigator in the Firm. The working shareholders and employed lawyers of the firm perform various legal, consulting and translation services. In addition to our normal duties we provide a community service by helping local authorities in their dealings with foreigners. Quite often we provide this service for free. We are also actively involved in ‘Child Watch Phuket’ a program implemented to protect and care for unwanted street children and children involved in prostitution. Our staff regularly assist foreigners accused of crimes and foreign prisoners by acting as translator in court and as interpreter in the police station. International Law Office has a total of seven shareholders and is managed by a board of three directors. One of the directors is a Licensed Thai Attorney at Law and the other two directors are paralegals. Business is managed by the lawyer, and the two office administrators with support from a total of 20 employees are responsible for the day-to-day running of the firm. Our client base is a mixture of people representing 30 countries and coming from all walks of life. 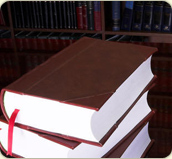 Our vast clientele consists of businesses and individuals that require legal counsel. Since International Law Office, is owned and managed by people from both Thailand and the western world we pride ourselves in being flexible enough to assist such a diverse client group in cultural, legal and family matters. We have been called upon to negotiate contracts, settle disputes and act as intermediary in matters concerning our clients and the Thai authorities.